There are little bandits in my garden. Very smart and now very plump bandits. 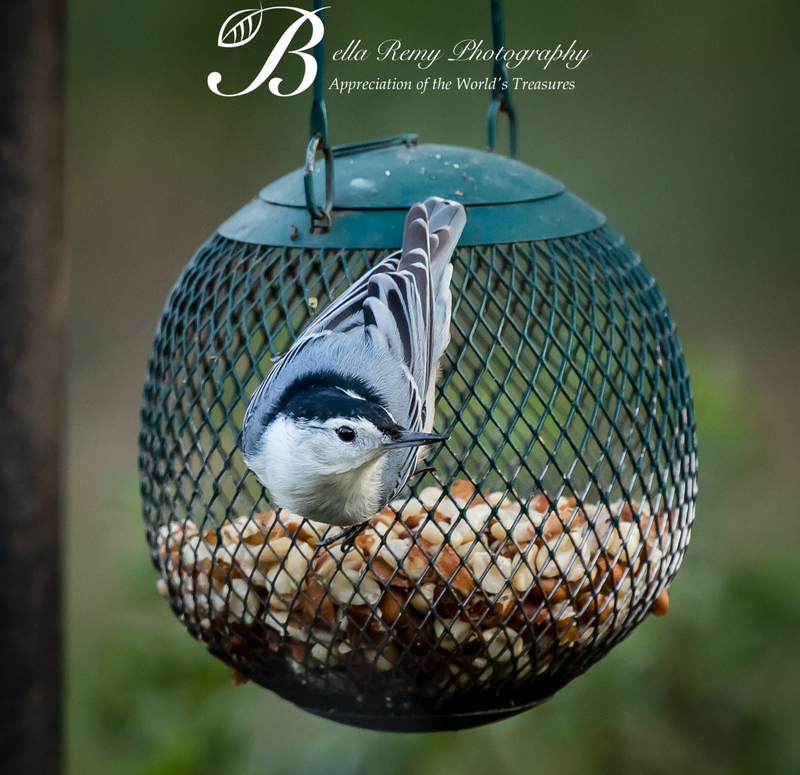 One of the many bird feeders in my garden is this small metal mesh ball that is intended for peanuts for nuthatches, woodpeckers and the like. Most certainly not intended for creatures with fur and four legs. But their tenacity finally won over. Somehow they managed to remove the top and hide it from me so I can’t replace it. A perfect situation for going in head first and eating to one’s heart’s content. Under normal use, this is what the Peanut Ball is for. But NO..the squirrels have their own idea. First staging themselves on top of the stand, they begin their dive head first into peanut heaven. Of course, if they could fit their little fat bodies totally into the ball, I think they would. They weren’t the only visitors in the manor’s garden today. 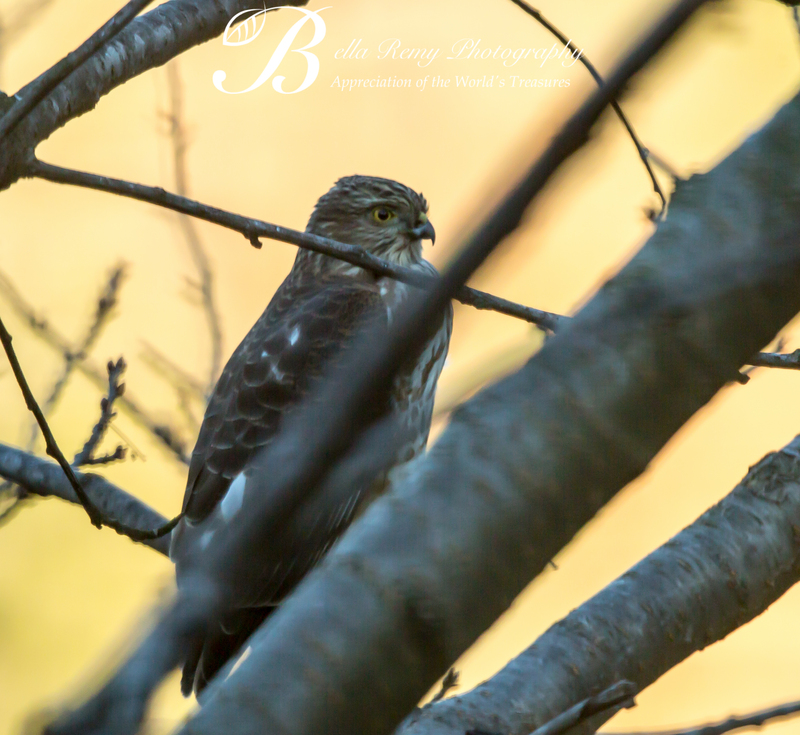 This beautiful Sharp Shinned Hawk made a rare appearance. I’ve only seen him three times in the garden this year. Of course, I had to capture this image through the window. As soon as I tried to slink out a door, he flew off. I loved seeing him though, and hope to see him back soon. It’s New Year’s Eve, and after a full day of exercising, riding horses, then coming home and cooking and drinking champagne. I’m a bit worn out. Hope you’re out celebrating and celebrating big. May we all have a fabulous new year, and may 2014 bring more good luck and fortune than 2013 did. Happy New Year to you too Michael ! You did such wonders in 2013, I can only imagine what 2014 will bring for you. Can I touch your marvelous photography professionalism. Think it’ll rub off on me? Haha Thanks Emily! You are too kind! I think you’ve got some pretty awesome work yourself. 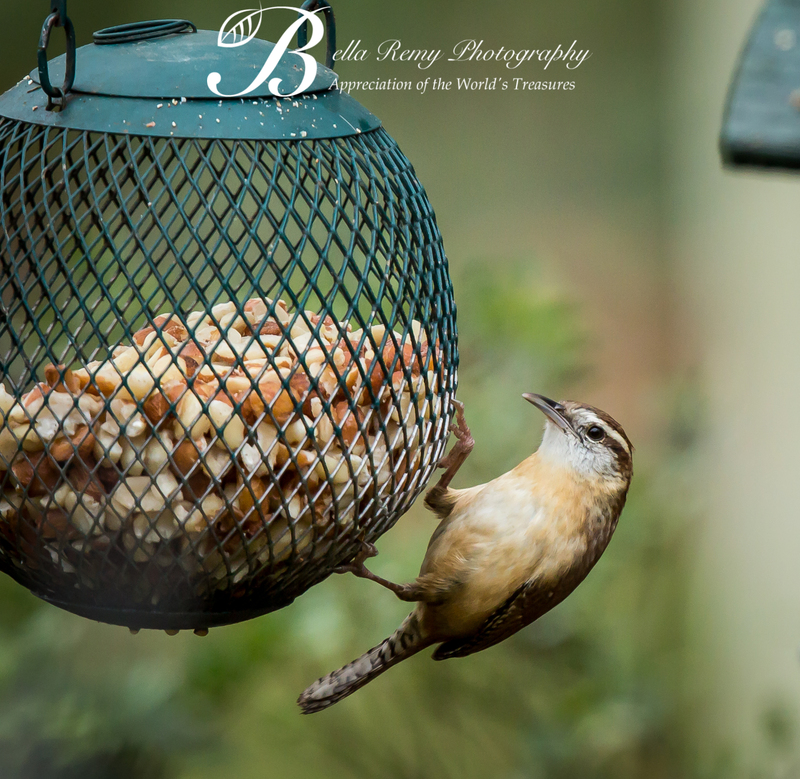 I really love your bird pictures! Happy New Emily – 2013 went by quickly didn’t it! Thank you for all of your support and encouragement over the year. It really did Rebecca. The end of it was hard for me, as you know. I’m hoping to a more joy filled year in 2014. Congrats on doing such an amazing job last year. Adorable photos! Happy New Year!!!! Thank you so much ! Happy New Year to you too! Uh huh – the furry thief has my address also. LOL ! Awesome !! Can I send some more your way? Oh you would love watching them Andy ! Thank you so very much for being such a faithful and funny reader throughout this year. Love seeing your little gravatar and look forward to an even better 2014. Appreciate you sharing this with your readers. Thank you! Have you tried sprinkling cayenne pepper on the peanuts? That’s the only way I know of to stop a squirrel. The birds don’t mind it. The photos were great, especially the sharpie! LOL !! Yes, I would think it would. Naw..I’m having fun watching the little fatties figure out how to fit into the ball. In fact it inspires me to create more of these tricks for them to play with. These photos really proved to me that my camera focusing mechanism is on the fritz. So off it will go tomorrow to be repaired. Thank you SO MUCH for being with me every day this year, sharing has been special because of your daily comments. Happy New Year and here’s to a fantastic 2014. I’ve said it before, but one of many things that I love about your blog and photos is that I learn from them. It’s been fun watching as you’ve done the daily challenge as well. Oh you too Sylvia !! And good luck with this next storm front. Ok..so am I stupid and messed up your name again? I confuse you with someone else don’t I? Mea Culpa. Sorry…. Thanks for sharing this with your readers Paul. I think we need to design a fancy squirrel obstacle course and sell it and make millions! Ooooh, dem sneaky squirrels!! Ours like to hide just high enough in the tree where our dog can’t get them and taunt her…. Oh that is too funny L.S. How I would love to see that. Thanks for sharing. 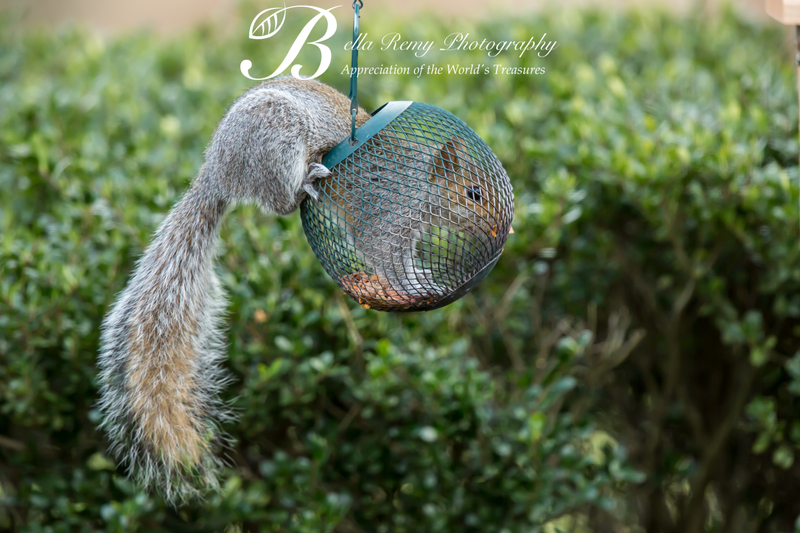 WOW – Ninja Squirrels – AMAZING FEATS!!! LOL ! Renee, you are truly too funny. It is great to watch them. I never get bored. Love the cheeky squirrel! They are such good acrobats. They always remind me of the film Ice Age now, with the squirrel desperately trying to save her acorn! You are so sweet Fatima ! I love that squirrel desperately trying to catch that nut throughout that whole movie. Makes me laugh so. It’s classic. Have you seen the other 2 films? They keep the story line going. It’s wicked cold here today, but seeing your gravatar made my day. I’ve only seen the secon Ice Age. I must see the third. Sending loads of warmth to you. I think you need to send more Fatima..I’m still freezing ! Going to clean up Christmas today and then lunch with a friend. I’m sorry your last visit to France was so wet and soggy.